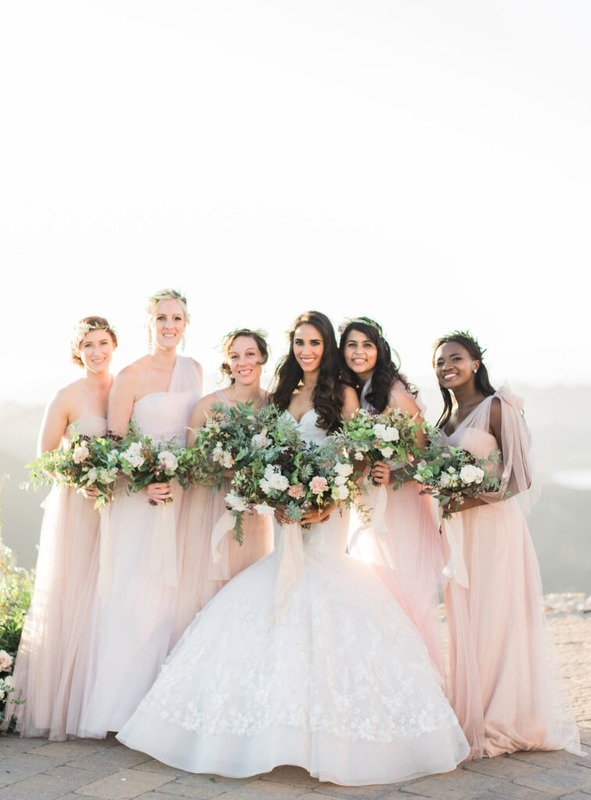 Tips for Wedding Gifting: Bridal Party, Family, Vendors, and More! From Dee: One of the questions I was asked most as a wedding planner was, “What do I get my guys? 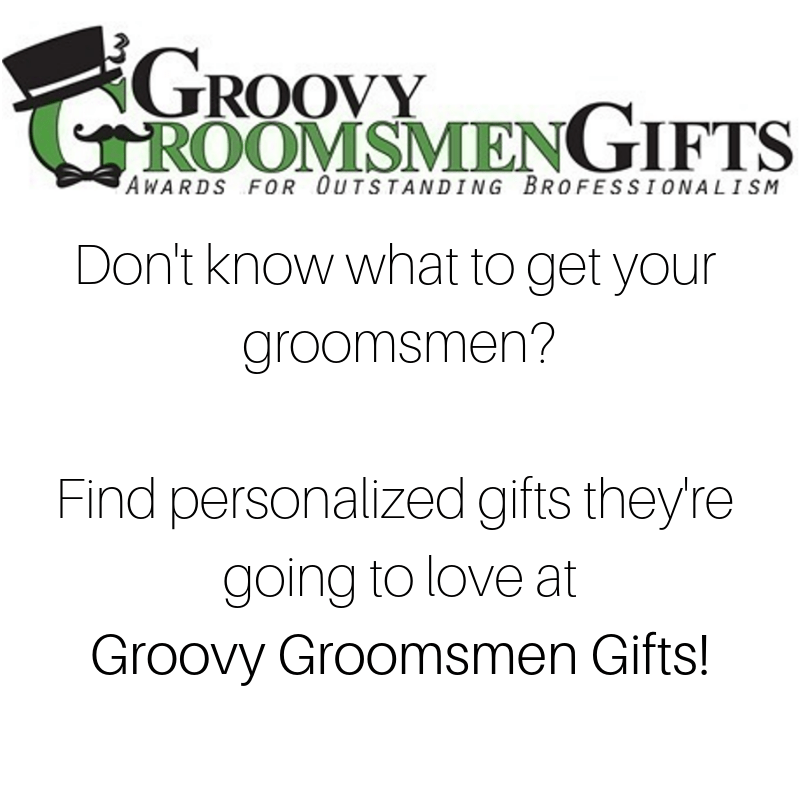 ?” Groovy Groomsmen Gifts is one of the best sources out there for groomsmen presents, and has become a go-to for many wedding planners. We asked our friends there for more good advice for buying gifts not just for groomsmen, but all members of the bridal party. Read on! Taking the time to find the right gift for your loved ones on your wedding day is a no brainer. It has actually become an expected tradition. Of course, right? These folks made an effort to be there, not only on your special day, but supporting you every step of the way. I’d say that’s more than enough to earn them a thank you gift! There are general wedding favors for your entire guestlist, but there are also specific people, like the ones in your wedding party, who have played a larger role than most. These integral people cannot be missed when it comes to gift giving. The simplest ideas are often forgotten. The most obvious person you should gift to is the one you are about to spend the rest of your life with. Thank them for making the lifelong commitment to you. You’re about to start your new life together, and the best way to celebrate that is by giving each other a gift. It doesn’t need to break the bank, as you can choose to give sweet tokens that express your love and commitment from this day forward. The best gifts are the ones that come with a secret engraved message. It could be a piece of jewelry, a journal, a memory box, or even a simple card expressing your love for each other. Think back to the places you’ve visited and the adventures you’ve had. Find small tokens that remind your future spouse that you appreciate the time you spend together. Simply thank each other for the success of your first major step together as a couple – your wedding day! Where would you both be without your parents? The unconditional support they have given through the years is priceless. Give honor to whom honor is due by spending the time and money to thank them for their enduring commitment to you. Your wedding day is an ideal time to honor your parents for raising you to be the loving person you are today. Let your thank you gift express all the gratitude that is in your heart. If you have a difficult time thinking of an item your parents may enjoy, check out a retirement gift site that will have many ideas. You may also include in this list, grandparents, siblings,and anyone considered as close family. It doesn’t need to be a physical gift wrapped in a box, as a special meal at their favorite restaurant can be just as appreciated as any present. Your besties! The ladies who have done so much to help make you the woman you are today. Through good times and bad, they have been with you every step of the way. They have also played a major role in making your wedding a success. Your best friends deserve no less than the best thank you gifts. The gift you carefully choose for these ladies must be from the heart. Let your gift speak of the special connection you share by giving a personalized piece of jewelry, a gift card for a spa day, or even a weekend get-away to a favorite destination. 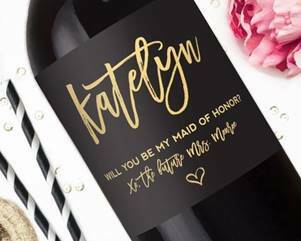 Creative gifts, like custom wine labels to gift your girls with their favorite cabernet, or elegant engraved jewelry, will make an impact and feel truly personalized. Also consider finding something they can all wear on your wedding day morning as you’re drinking Mimosas getting ready for the festivities – getting-ready robes, pashmina scarves, studs, necklace or even shoes! Your gift will show your appreciation for the important role they play and also leave them with a lasting memory of your wedding every time they wear these items. They have helped the groom in so many ways. Just for the wedding they’ve probably arranged the bachelor party, prepared their wedding toast, ran errands, and made sure everything goes as planned on the big day. Thanking these men with a gift is the best way to show how much they mean to both of you. For your best man, get him a gift that will leave a lasting impression – like a day at the golf course or a trip to a favorite destination. 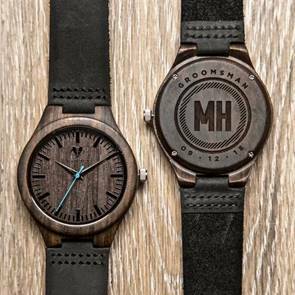 You can also go for classic gifts like a wristwatch or a flask, and have them personalized with his name or initials. Or, find something cool they can all wear on your wedding day- like cufflinks, a tie that has the same color for each one, or even customized sneakers for the party. Your wedding entourage comes in all sizes and ages. These are the kids who will bring the “Ahhs” and “Ohhs” at your wedding. From walking down the aisle on their way to performing their jobs, to cutting a rug on the dance floor, these little ones truly making lasting memories at your wedding and bring a little comic relief. Depending on their age, prepare something that will keep them busy for long events. This can be anything like board games, crafts, sticker books, toys, and other fun gifts. You may also give them something they can wear on your wedding day like a piece of jewelry, a nicely designed bag, or a themed shirt they can throw on during the reception. Depending on the size of your wedding party, unfortunately everyone can’t make the cut. There are certain functions in your wedding that you choose close friends to do but they are not part of your wedding party – these are the candle lighters, ushers, guest book attendants, readers, guitar player for the ceremony, a friend rendering a song for the reception. A small token of thanks will go a long way for these friends who have gone out of their way to help make your day that much more special. Don’t forget to slip a personal note of thanks in your gift because it will surely go a long way. It can be a book, a journal, a bottle of wine, and so much more. These men and women worked hard and put in their best effort in order to make your wedding the success it became. While many consider it to be optional to give them a gift, consider giving a token of thanks to your officiant, wedding coordinator, venue provider, caterer, and those who have played a vital role in ensuring that your wedding ceremony and reception will flow smoothly. A generous tip or leaving a good review of their business online would also go a long way to showing your appreciation. Also under this category would be people who have helped you and played a special part in your wedding journey. The cousin who gave you advice and helped take away your wedding jitters, the aunt who went dress shopping with you, and all other important people who volunteered to do a function or render a performance on your wedding day. Showing gratitude to your spouse, parents, wedding party, close friends, and important people playing a special part on your wedding is always a welcome gesture. Remember that your thank you gift need not cost you a fortune. We’ve discussed several ways to say thanks that won’t break the bank. You can always go for handmade gifts, a gift basket, a letter of appreciation, a poem- be as creative as you can be. To make the most impact, be sure to remember that your gift should have a personal touch. Aside from your thank you gifts, everyone’s presence in your wedding is important and deserves to be acknowledged. Don’t forget to distribute your unique wedding favors and make sure you don’t miss out on any of your guests. No matter how big or small the gift, what makes the most impact is that you have made the occasion memorable for all the people who supported, made time, and exerted effort in making your wedding a magnificent event.